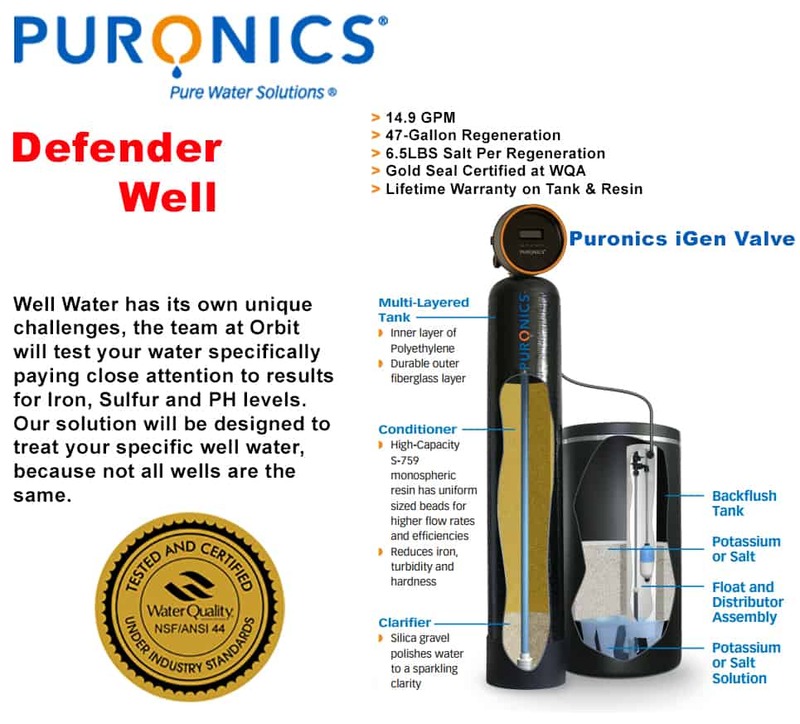 The Puronics Defender Well is a whole home water softening system and water purification system specifically for Well Water. Not all Wells are the same, Orbit will Test the Water from your Well and design a solution to treat the Water that your home and family depend on. There is no charge for a Water Test, call us today and schedule an appointment for your Well Water Test.